Specifically, the Aquino administration is pushing for the passage of additional “sin taxes”. If you don’t know what a “sin tax” is, “sin” provides a clue. Smoking and drinking alcohol are two of the most common Filipino vices that the church would consider sins. Both of these vices kill people. 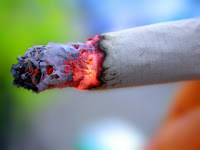 Smoking can cause lung cancer while drinking too much alcohol results to heart problems and other illnesses. Unfortunately, these facts mean nothing to those who smoke and drink on a regular basis. They put their lives at stake to satisfy their immediate desires. They’re hooked to these unhealthy habits. What we really need are prohibitive measures that can discourage people from buying and consuming these products. Government warnings do not seem to work at all. Every pack of cigarettes warns that smoking kills while every liquor ad admonishes to drink moderately. These have little to no effect as long as people can easily afford to buy them. That’s because liquor and cigarettes are cheap in the Philippines. Even the poor can spare a few pesos to engage in these bad vices. What little money they earn which could have been used for basic needs ends up going to tobacco or alcohol or both. So it’s no surprise that from a personal finance stand point, the bill seeking to raise taxes on alcohol and tobacco is a win-win for Filipinos. It should become a deterrent when these taxes result to higher prices. People would be in a better position to avoid starting unhealthy habits when this happens. We know how difficult it is to be rational with our spending. There are forces around us that affect our buying decisions. A family man who earns little for his family can easily justify spending on tobacco and alcohol if the price is low. But that will possibly start an addictive habit that is hard to break. Spending on these vices can become liabilities that drain money from a family. Basic needs such as food, shelter, clothing, education and medicine may be adversely affected when the budget shrinks due to too much spending on tobacco and alcohol. So the increase in prices of alcohol and tobacco products will provide the necessary deterrent that will help most people. Moreover, most of the revenue that the government expects to earn will be allotted for health care budget. Universal healthcare will be closer to reality when more money is available to make it happen. Filipinos will effectively spend less on health when the government is able to allot money on universal healthcare coverage. The rest of the tax revenue will be spent to help tobacco farmers who may be affected when the bill becomes law. When people stop buying cigarettes because prices are high, the demand will drop. Farmers who work on producing tobacco may lose their source of income. That’s when the government needs to assist in making sure alternative livelihood programs are there to help them. This will ensure that farmers won’t have to suffer from the few bad effects of additional sin taxes. All in all, I believe the benefits outweigh the cost of implementing increases on sin taxes. It’s not only the responsible thing to do for the government for the betterment of society but it will also provide advantages that will help Filipinos make better and wiser spending decisions against unnecessary and unhealthy vices.